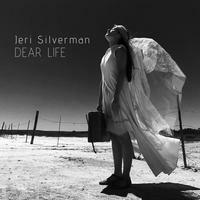 This is the second set from Jeri Silverman that I have reviewed. The mix of sounds here lands somewhere between folk music, pop rock and other rock sounds. There is a dream-like quality to a lot of it. Honestly, the vocals really sell it the most. If you like music by artists like Rickie Lee Jones, Suzanne Vega and The Cranberries, you will probably enjoy this. Give it a try. Alternate rock and pop music seem to merge on this cut. It starts fairly stripped back and gradually builds. There are definitely some bluesy elements here. This is a cool tune that really bridges the gap between pop rock and something meatier. This is a bit on the mellower, melodic side of the equation. There is a dream pop quality to the cut. It's a classy song that's a great entry here. In fact, this is one of the standouts of the disc. Picked guitar textures open this track. It works outward making me think of something like Suzanne Vega. There is a lot more folk built into the opening section of this cut. It's gets more rocking and dramatic as it works forward, though. This is another highlight of the disc. It's so powerful both in musical arrangement and vocal performance. This is much more of a straight-ahead folk rocker. It has a lot of energy and some solid hooks. There is a dream-like quality to this number. It's a mellower one that seems to occupy a space between folk music and modern pop, capturing both quite well. I like the balance between the mellower and more rocking stuff on this piece. It's an energetic number that is among the best material here. There is a real artsy quality to this number. It's a bit of a rocking piece, too, but makes good contrast between softer and harder sections. It makes me think of Rickie Lee Jones a bit. A bit more of a rocker, this is another classy tune. It has a good energy and vibe. The hardest rocking tune of the whole set, there is definitely some Americana on hand here. I'm reminded a bit of The Cranberries on this number. This tune has a good combination of mellower and more powered up stuff. If the whole disc were like this, I'd probably land it under progressive rock. I live the fast paced vocal section later in the track. This piece is very artistic and so cool. It might be my favorite tune on this disc. This one alone is worth the price of admission here. Another that has a lot of artistic vibe to it, there is also some of that dreamy quality on this cut. It's not a huge change from a lot of the rest, but when it's this good, that isn't a bad thing. There are some catchy hooks on this tune. The dreamy texture is also present on this cut. It's absolutely soaring in a gentle beauty. 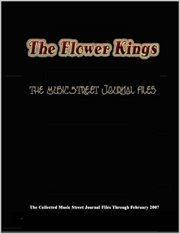 There is a lot of folk music built into this along with modern pop sounds.